Madam Guillotine awaits Christiana and she longs for the freedom death will give her. The guillotine has already taken her husband but before she can put her head upon the block she is taken back to the cells. Neil Blakely has been commissioned to save Christiana and return her to her brother in America but he cannot understand the lady’s unwillingness to be rescued. Due to the way she has been treated by men, the lady does not go willingly and the trip to America is fraught with tension and mistrust. 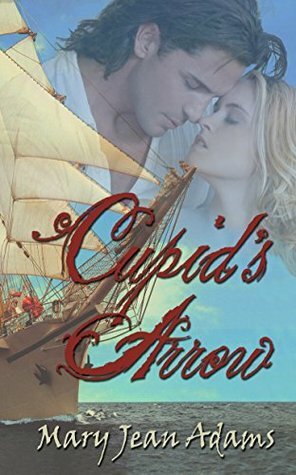 Chased by a man who believes Christiana is his, ordered not to start a war with France, and a sister who has her own thoughts on the way Neil should behave and you have a book full of….well, full of a bit of everything. I really enjoyed this book. At first it seemed the story would be serious due to the beginning where Christiana’s husband loses his head, but once the two main characters meet, the conflict between them is intense but at times quite humorous. When Neil’s sister is added to the mix the levity increases. The book is not exactly lighthearted but definitely entrancing. It has serious moments, lots of tension in the right places and humor in other places. A good read and well written with strong characters.